It all ends up in a box or does it? 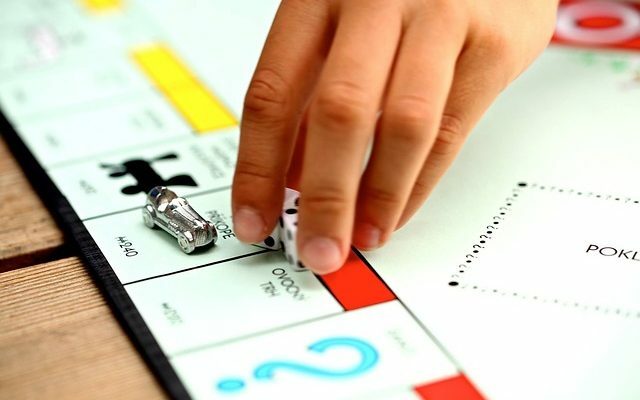 What does the board game Monopoly and human life have in common? Is it that both are about the accumulation of wealth and success? Or are both just a game that has winners and losers? Perhaps if we looked at them through the gaze of time, we can start to see how temporary both are. Take a moment to ponder this: no matter how many houses you acquire in Monopoly or in real life, you cannot take it away with you once you pass from this earth. Regardless of the successes or lack of in one’s life; death awaits everyone. Although we go about studying hard to get a decent job that pays well to sustain the lifestyle of our families and ourselves, how often do we pause to ponder at the temporary nature of such realities? We are so very often preoccupied with the “future” being the next decade or so that we lose sight of the real future that is eternity. When God worked hard to create the world in six days (on the seventh He rested), He did not do so just hoping to have a world for the next few years but rather even from before Creation had the entire redemptive plan in mind to rescue humanity from the temporality of this world. Even in the Old Testament through characters such as Abraham, everything is pointing forward to Jesus and God’s promise that would be fulfilled many centuries after Creation. In mid-August, I had the privilege of serving as an advisor at the RICE Rally event in Sydney. With RICE (Renewal Inter-Church Evangelism) Movement director Steve Chong firing up hundreds if not thousands of youth for Jesus, many made commitments for the first time to repent and live for Christ. Encouraging the youth to “stop living for the temporary and start living for the forever”, many lives were changed that night. During an advisory session towards the end of the Rally, I could see many teenage boys willing to set aside their pursuit of earthly treasures to place God in the centre of their lives. Sydney is the world’s best place to welcome in the New Year. In 2000, it put on a show for the entire world to see with “Eternity” written boldly across the Sydney Harbour Bridge. The world rang in the new millennium starting with parties along Sydney’s famous harbour foreshore with fireworks and more. But then just a year into this new millennium, the world witnessed one of the most devastating terrorist attacks on the United States. The world shook after the attacks on the World Trade Centre and has never been the same since. So radical was the shift from celebrating the start of a new century to grieving loss of life and trust in such a short period, that looking back it really seems the excitement was quite temporary. Just like the fireworks that shot into the night sky and then fizzled out in 2000, are our lives ready for whatever may happen tomorrow, next month, in the next year, into eternity? We don’t know when death will come upon us. But it is not terrorism or even dying in this world that we should fear. As poet John Donne puts it: “Death, be not proud, though some have called thee Mighty and dreadful, for thou art not so… One short sleep past, we wake eternally And death shall be no more; Death, thou shalt die”. We ought to be ready for whatever lies before us through accepting what Christ has done for us through His death and resurrection. “For God so loved the world that he gave his one and only Son, that whoever believes in him shall not perish but have eternal life” (John Chapter 3, verse 16) is one of the most common or even cliché verses in Scripture but its meaning is profound. Just as both Monopoly and life end up in a box, we should be placing our hope and trust in someone whose box was empty – Jesus… “He is not here; he has risen…” (Mathew Chapter 28, verse 6). This is the good news that as Christians we ought to be spreading across the entire world. No longer should we live solely for the temporary but rather preparing for the forever – a new age with Christ as king!